Detail of Grail-A 64000Bd downlink. Periodic data bursts can be seen. Both signals again, lower Grail-A using 32kbps modulation, Grail-B on higher frequency 64kbps. 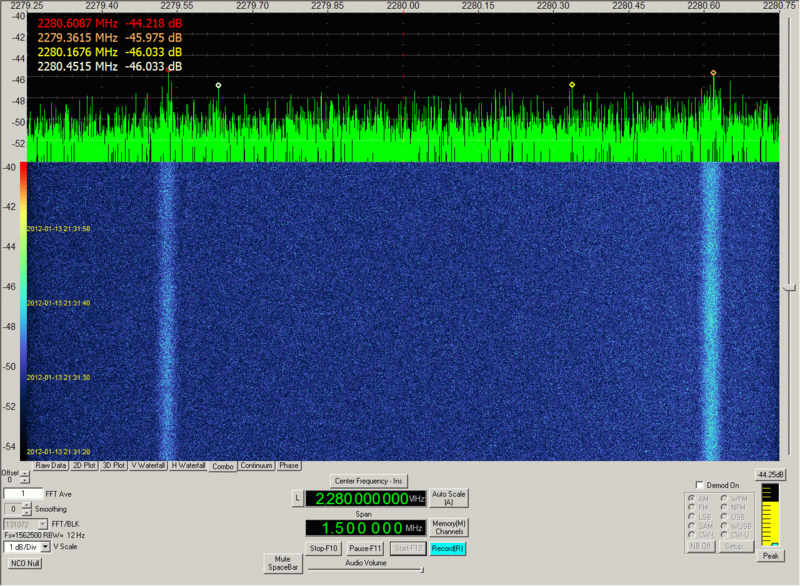 Signals were quite weak even with 10m antenna. No wonder they are almost undetectable with smaller setup. 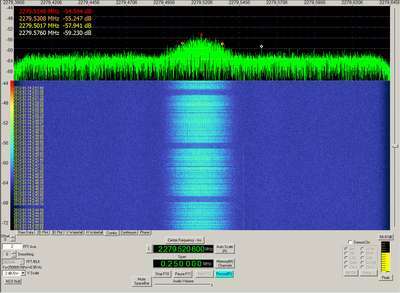 Satellites lock to the ground station - typical sweep can be seen. Also telemetry can be switched off or CW tone can be transmitted (that was seen for a brief period of few minutes only). During monitoring over 8 hours, two resyncs sweeps were done and carrier was transmitted once for about 1 minute. Just after moon AOS, signals of Grail-B were stronger, Grail-A being down in noise. This improved during monitoring, Grail-A being stronger then Grail-B in the end. Because downlinks are idling most of the time, they produce multiple carriers instead of uniform noise. 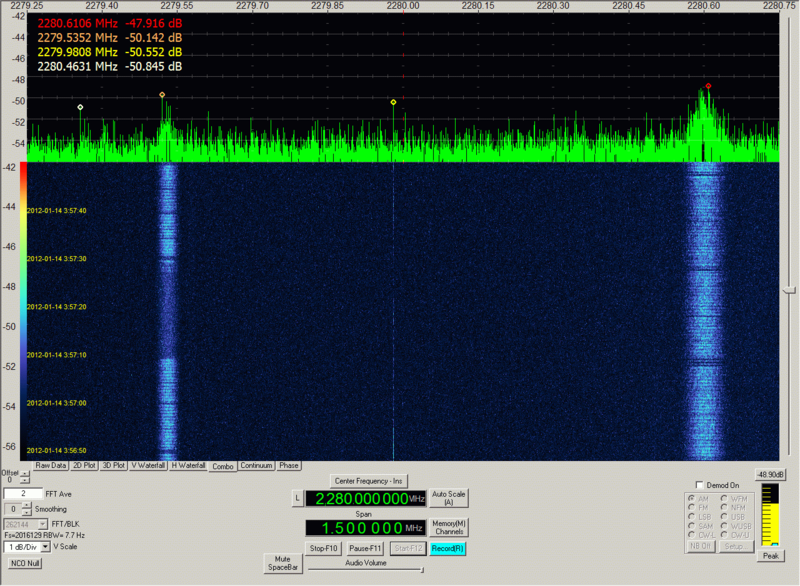 Because of this, it appears signal is stronger than really is. 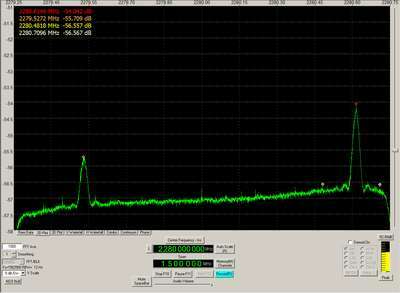 This can be clearly seen on last screenshot - during data transfer on left signal, signal level is reduced. At the start of monitoring, I managed to record and decode Grail-B telemetry down to CCSDS packets and confirmed that Grail-B is on 2280.6 MHz by CCSDS TLM ID 0x1B5..
10m dish is absolute minimum to decode 32kbps telemetry, the 64kbps downlink from Grail-B was too weak.